CZ Industries has experience and knowledge in building and assembling prototypes. So if you have an idea, we can help. CZ Industries also has experience and knowledge in building and assembling Robotics. If this interests you, contact us now! We have been building and assembling Automotive parts for 15 years. At CZ Industries we have the experience and equipment to create the exact parts you need for automotive applications. Bring us your design, you can rest assured your needs will be met to exacting requirements.Give us a call! At CZ Industries robotics are part of our daily life. We understand the mechanics and rogramming required to make robotics efficient, cost-effective and successful for your industry, today and in the future. Give us a call to find out why. Our military requires (and deserves) the very best. That's why at CZ Industries we take pride in everything we do and for each and every client. Military specifications can be demanding, and CZ is up to the task. Give us a call for a quote today. CZ Industries serves the food processing industry with custom solutions that stand the test of time. Our quality process and materials let us stand behind our products with pride. For food processing special needs and safety, call CZ Industries today. Everything arrived well and intact. The weldment is almost fully assembled and looks very professional. Thank you for a quick turnaround. 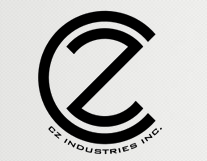 CZ Industries was established in 2006. Peter Skrna, owner, has been in business since 1998, almost 15 years. He has been taught by the most experienced in the trade. He brought his knowledge of business and the trade together and opened CZ Industries.